If you've studied comic strips a great deal, you might be aware of The Legend of Bruce Lee comic strip by Sharman DiVono and Fran Matera that ran for about a year beginning in May 1982. It was put out by the Los Angeles Times Syndicate and, given that Lee had been dead for nearly a decade by that point, coupled with the fact that serial adventure strips were a tough sell in the first place by then, coupled also by the fact that it would've been competing for space with still-current media tie-in comic strips like Star Wars and Star Trek... well, it's no surprise it didn't exactly become well-known. Allan Holtz has a good write-up of the strip here. But that wasn't the first time Lee was the subject of a comic strip! There were previous attempts to cash in on Lee's fame in the 1970s, including an aborted attempt by Milton Caniff and Noel Sickles (using the pen name Paul Arthur) in 1977! I don't have much information on that besides what's in the aforementioned piece by Holtz. But that's still not what I'm talking about! Back in the 1940s and '50s, there was a cartoonist by the name of Yuan Bou-wan (袁步雲) who created a number of newspaper strips that were popular in China at the time. One was called Kid Cheung (細路祥) that featured a young boy "through whom the author gave his critical look on the adult world and the unfairness of society." (According to Lambiek.) I have been unable to find any sequential sequences from the strip online, but you can see one of the covers of a collected edition at the right. The character became popular enough that the film rights were licensed and in 1950 a movie called simply The Kid (細路祥) was created based on the comic strip. 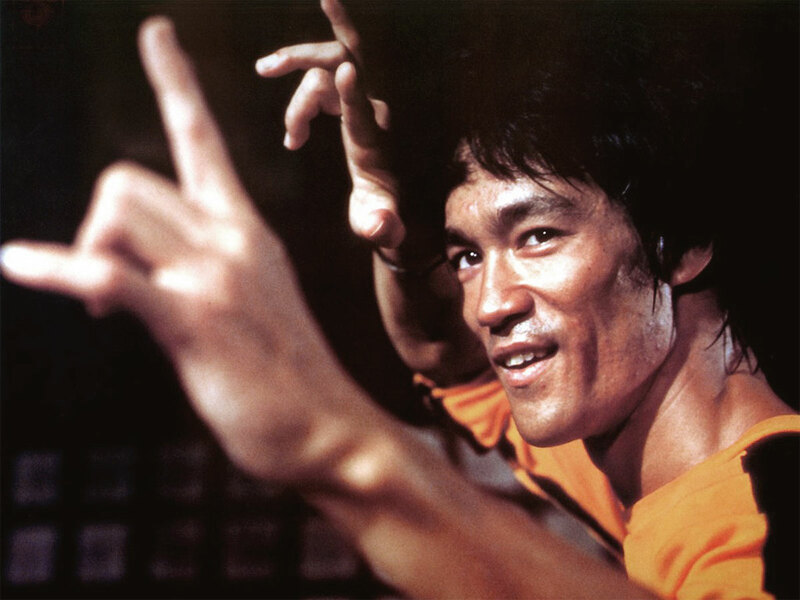 The title role in that film was played by a then-ten-year-old Bruce Lee, with both Lee's father and Yuan himself appearing as other characters. While the strip was not based on Lee originally, as it continued running for at least a few years after the movie's release and Yuan had a very active role in the film, a conflation of "Kid Cheung the character" and "Kid Cheung as portrayed by Lee" is all but inevitable. Thus making Lee's comic debut a decade and a half before almost anybody in the States saw him as Kato on The Green Hornet, nearly a quarter century before his popularity exploded thanks to Enter the Dragon, and around three and half decades before anybody was able to create a comic strip capitalizing on his name.